We all love the classic British BBQ – an excuse to catch up with friends (and sometimes family), drink great wine, and eat all the steak our bodies can handle. But where our BBQs are a more laid back affair, South Africans have taken cooking to the next level with the almighty braai – grilling meat never looked (or tasted) so good! 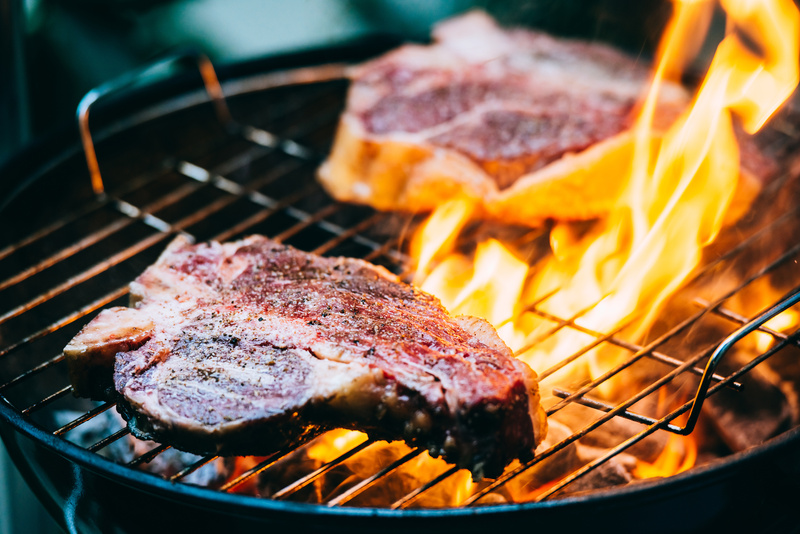 If you don’t know how to braai, or want to blow some serious taste buds at your next braai, check out our top 5 tips below! If you’re serious about becoming a braai master, your first step is to choose the right meat. Don’t skimp on the quality – buy from a local butcher you trust, and opt for less of a higher grade meat instead of more of a cheap quality. It probably goes without saying, but avoid freezing the meat before you braai. Instead, ripen it in your fridge for a week to enhance the flavour. You can cook almost anything in a braai, but you can’t go past steak, lamb chops, and the traditional ‘boerewors’ – a South African sausage that tends to contain a higher percentage of meat than other sausages. Combine and blend the ingredients, then marinate the meat for at least four hours before you braai. Shake off any excess sauce, throw the beefsteaks on the grill, and let them cook on both sides. A bad fire can be the end to a great braai. And don’t even think about using gas if you hope to be a true braai master! Instead, line your braai with kindling and newspaper and light it with a long match. Wait 20 seconds to let the fire breathe and grow, then position briquettes on top in a pyramid shape. Make sure the briquettes take, allowing plenty of air to get in there and feed the flames. Roughly 30 minutes later, your briquettes should grey over, showing some ash and a red glow. Now you can rearrange them using tongs, and add your braai grill to start cooking. Remember, safety first! You’ve done all the hard work of selecting and flavouring your meat, and building a brilliant braai fire. The last thing you want is poor cooking! If you’re cooking several different types of meat, remember to cook everything in the right order. Some meat, such as chicken, will take longer to cook, so start with that, then move onto your quicker cooking meats like sausages or ribs. Steak should be added last, as that will cook fastest. For the most succulent meat, avoid turning it too often or too many times. Letting it rest longer on the flames will seal the meat and get both sides golden brown! The host is automatically the braai master. No questions asked. If the host is female, her husband or boyfriend is the braai master. If neither of these are around, it’s the tallest man present. If the braai is at a neutral location, the master is whoever pays for the braai. If costs were split, the tool provider is braai master. If the braai spot already had tools provided, the man with the most braai experience is the master. Lighting the fire (as per step 2 above). Never braai alone. No friends? No braai. Don’t get cocky – you’re only as good as your last braai. Once you’ve finished cooking, and shown your lucky guests your boss braai skills, there’s only one thing left to do… Our new Beefsteak Club Braai Edition Malbec is the ultimate wine partner for any braai, so pick up a bottle (or several) from your local Sainsbury’s and raise a glass to your braai master status.